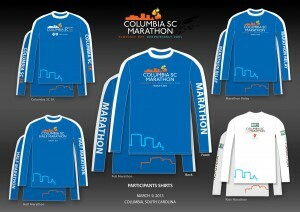 Normally, my spring running seasons ends with the Jailbreak 5K over Memorial Day weekend. 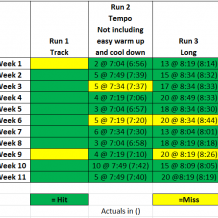 After that, the warmer weather and higher humidity do a number on my already mediocre speed, and the number of events to choose from drops dramatically. This year, I decided to make an exception. A new race popped up, and it was for a very worthy cause. 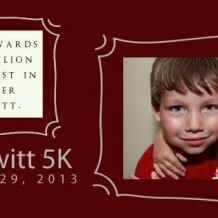 The Hewitt 5K was held on Saturday June 29th at Chapin’s Crooked Creek Park. 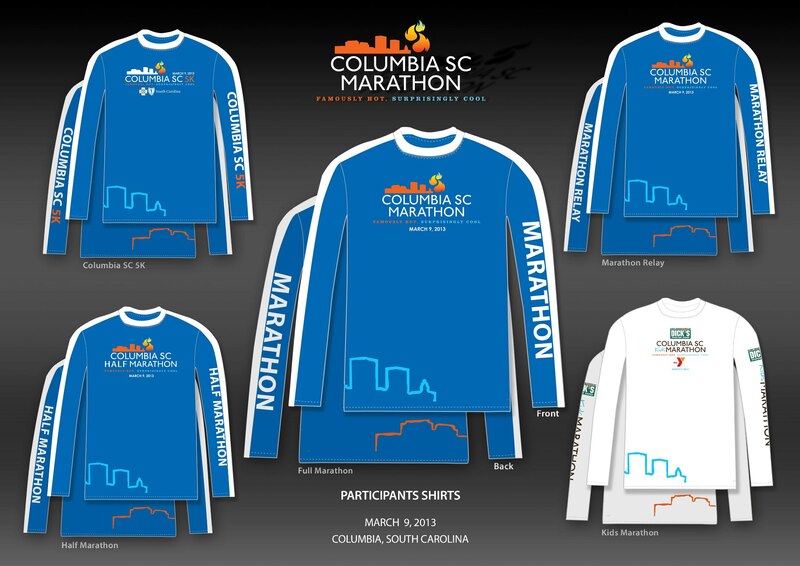 The race was to help raise money for a pavilion at Chapin Baptist Church that is being built in memory of Parker and Haley Hewitt, two children who lost their lives in a car accident four years ago. Sounded like a great reason for me to put myself through the pain of a possible hot and humid 5K. So, on Saturday morning, I set out to Crooked Creek Park. In an un-Greg like move, I decided not to research the course route beforehand. I knew some high school cross country meets were held at the park, so I suspected the course might have some off payment sections. I arrived in plenty of time to get my packet and warm up. The good news was the sky was overcast and it was a bit breezy. Bad news was the typical South Carolina summer morning humidity was there. Oh, well. This was still better than I expected. I could see the finish line was setup in the middle of a soccer field. So, the off pavement suspicion was confirmed. During my warm up, I also discovered some white arrows on the pavement and decided to follow them. They took me down winding paved trails. I suspected this was part of the course. I followed them far enough to encounter some short steep hills and turned around to head back to the start area. 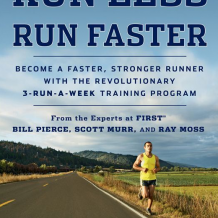 During my two miles of easy warm up, I didn’t have any trouble working up a sweat. I was ready to go. So, there I was at the start. 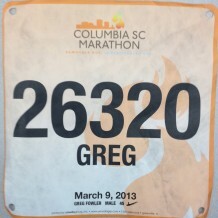 A month had passed since my last race, also a 5K, and even a PR. 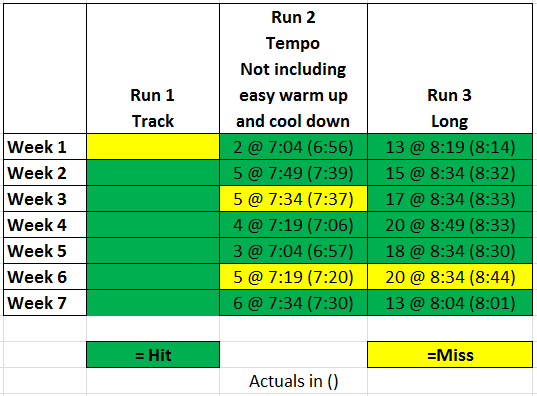 I’d been training hard, and really wanted to improve on that PR, but I knew that would be tough this morning. I felt twenty-two minutes would be a victory given the humidity and course. I’ll try not to bore you with too many details. Here’s how it went. I went out pretty fast with the lead pack. After a half mile or so, we hit those paved trails I had found in warm up, and I couldn’t keep with the lead group. I found myself in no man’s land, running by myself. A few minutes later, my watch beeped for the first mile split and it said 7:12. That seemed too slow based on that start. 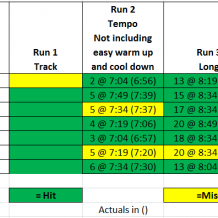 Unfortunately, my brain cannot turn off the number crunching, and immediately I knew that I’d need to run 6:30 mile splits the remainder of the way to get a PR, if my watch was indeed correct. About then, I hit that first short step hill. It felt like someone put the brakes on me. Then there were some more rolling hills. 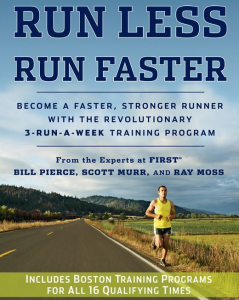 With no one close behind me, I just decided to try to keep a steady pace. 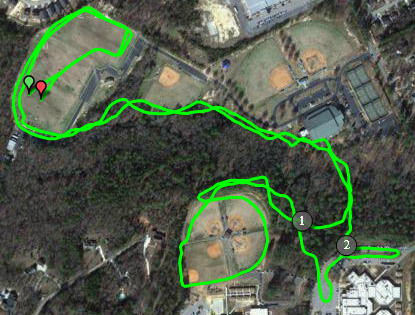 About the half way point, we looped around a couple of baseball fields. Here, I could glimpse behind me and saw a guy less than 100 yards back. He looked like a possible age group threat. My number one goal now became to not let him pass me. I was fading, and I hoped he would, too. Eventually, we emerged from the paved trails and headed back into entrance to the soccer field. My watch said 19:00, and I could see the finish line. Unfortunately, we still had to loop back to the far side of the field and back. The guy behind me was now very close. I was fading faster than he was. We rounded the last corner and a spectator yelled ‘He’s gaining on you!’ I don’t know if he was lying or not, but I did my best to pick up my pace and held him off, managing a 22:13. Turns out he wasn’t in my age group. If you aren’t aware, most races have an overall winner then break up the field into age groups, usually in 5 year increments. This gives us regulars a chance to compete. Five years ago, in my first 5K, I actually won first place in the mail 40-44 year-old group. I didn’t really know what fast was in a 5K back then, and I thought my 23:30 something was not bad, until they announced the overall winner . He was my age, but ran the race in under 16 minutes. Oh. 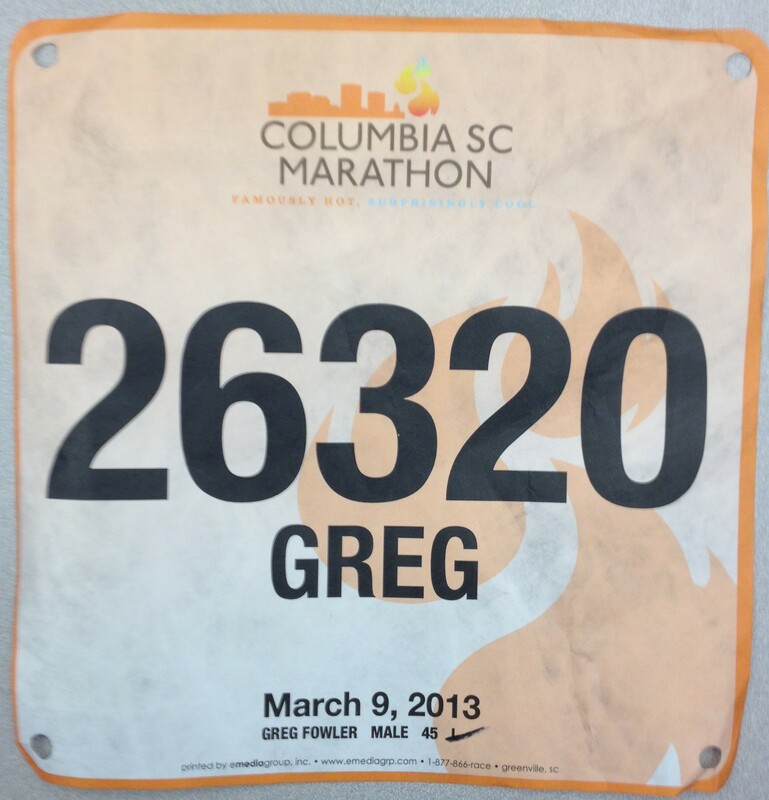 Over the past 5 years, I had not placed first in my age group again. I did manage a third that first summer, but since summer of 2009, I’ve been shutout. Until now. My 22:13 was good enough for 1st place in the male 45-49 group and 12th overall. 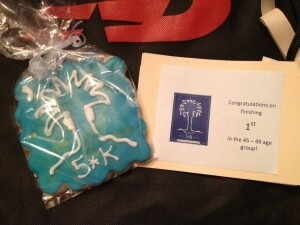 As a bonus, they didn’t give out medals, but instead gave sugar cookies with the race logo in icing. Much better than a medal. My Prize. It didn’t make it through the afternoon! Oh yeah, Heather Hunt finished first at 18:37. Pretty darn impressive for a 38 year old, I think. For the complete results click here: http://www.strictlyrunning.com/results/13hewitt.txt.